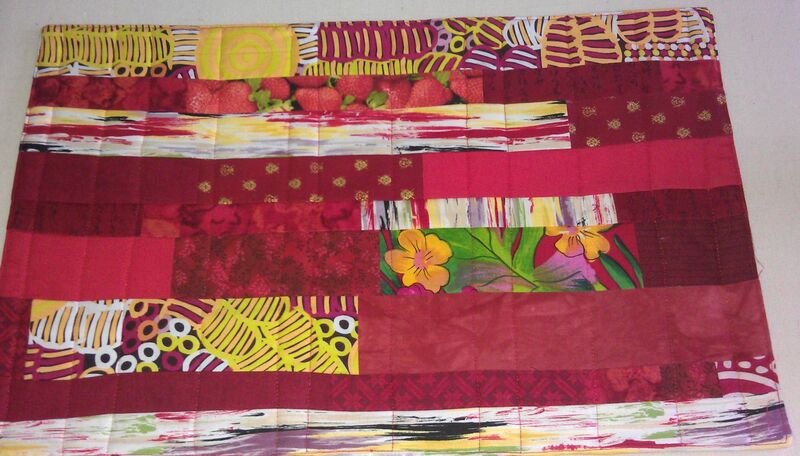 A friend in Connecticut asked if I had any of a particular red fabric left as she’d like me to make a placemat or two from it. I did have some of that fabric left, but definitely not enough for two placemats, but I figured that I could get two out of the fabric if I used it judiciously. 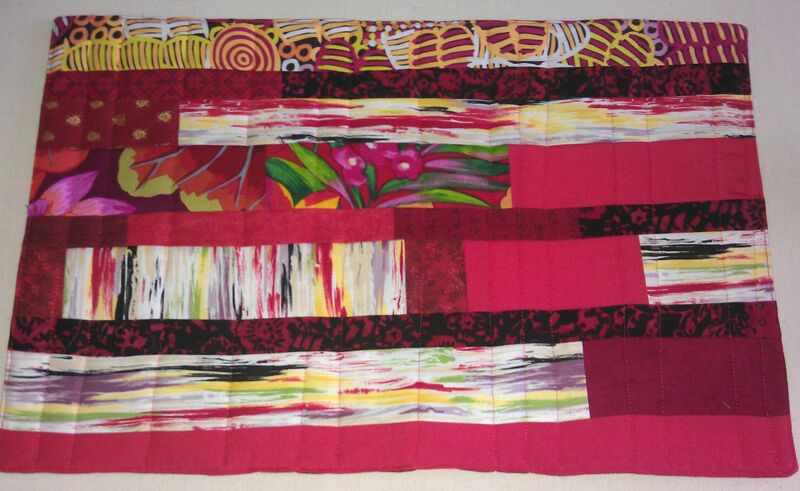 I decided to do a ‘modern quilt’ themed design that I made up, using her favourite red fabric as the main ‘background’ and scraps of coordinating red fabrics as the staggered strips. 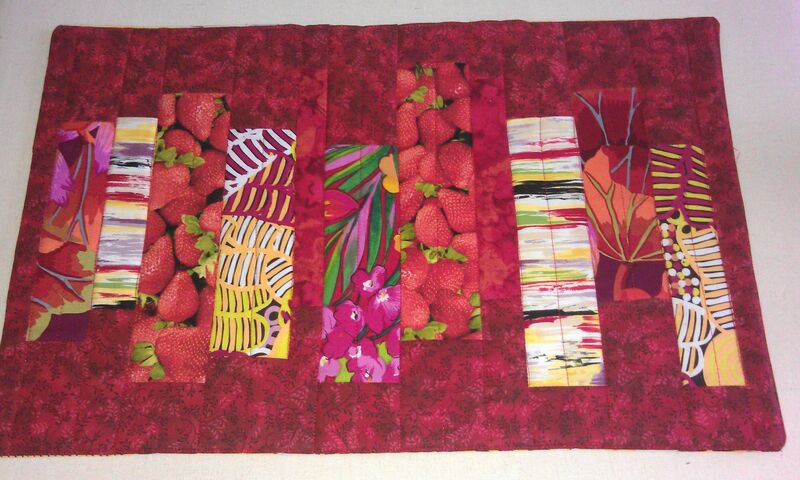 And as I had quite a bit of red fabric scraps still left over, I decided to make the backing out of those and thus make these placemats reversible. It took a lot longer to make these two placemats than I had initially thought, probably because I didn’t follow a pattern and because my scraps were all odd widths that I had to fiddle with ;-). I sandwiched the placemats with insulated batting to protect the table from hot plates, and just stitched vertical lines to hold the quilt sandwich together. I was quite pleased with how they turned out, though the photos don’t show the depth of colour in some of those reds. The vertical sides are the fronts and the horizontal sides are the backs. Very nice! I’m liking the mod look! 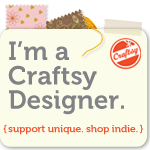 As the recipient of these placemats, I concur with Rhonda: As pretty as they look in the photos, they are gorgeous in person. The red fabric on the fronts are rich and royal in person. 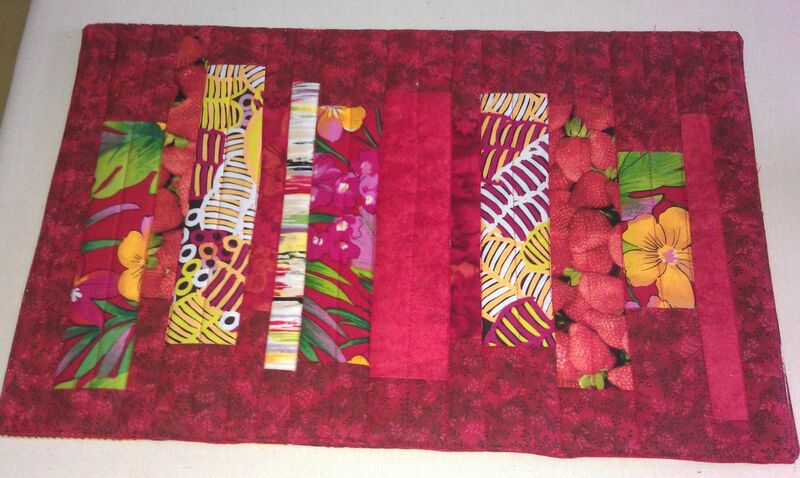 And she did a fantastic job selecting the other fabrics for the pieces.